"The 13-year-old is fast making moves and making heads move in the classical music world ... Bouchard leaves his audience awestruck with his artistry." Rondo & capriccio in G Major, Op. 129, "Rage over a lost penny"
"Talent explodes everywhere: his playing always clear and inspired, perfectly balanced between both hands, natural phrasing, dynamic control ... the breath of a true virtuoso ..."
Teenage piano sensation Daniel Clarke Bouchard was awarded an ADISQ Award in Quebec in 2014 for Classical Album of the Year, Soloist or Small Ensemble for this record. Bouchard became a sensation on the Montréal and world music scene, including appearances at Carnegie Hall and on the Ellen DeGeneres show, at the age of only 13. On Scenes d'enfants, his tailor-made debut solo recording, Bouchard presents this programme of music by Mendelssohn, Debussy, Haydn and Chopin. 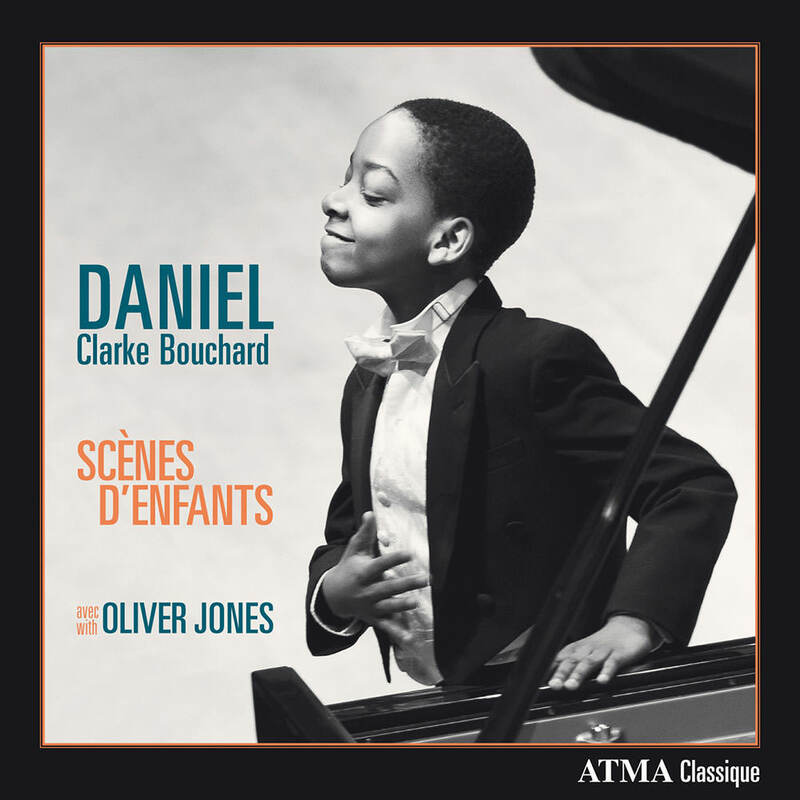 The hugely talented Clarke Bouchard is also a jazz enthusiast and joins his mentor Oliver Jones on two jazz-inspired tracks performed on two pianos: an improvisation on Mozart’s Ah vous dirai-je maman Variations and Claude Léveillée’s Grande valse fofolle.